Everyone knows that America runs on trucks, and the best selling pickup trucks in 2010 certainly prove that point. When it comes to cargo, towing and hauling capacity, nothing beats a truck. In the fullsize pickup truck category, there are only five players. There are seven in the compact pickup classification. in America for 29 years in a row. 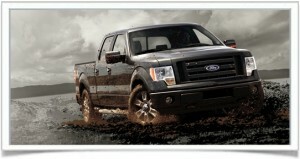 Ford sold 528,349 F-Series pickups in 2010, a 27.7 percent increase over 2009 sales of 413,625. Highly customizable, available with regular, crew cab, and extended cab configurations, long, regular and short beds, two- and four-wheel drive, there’s a Ford F-Series pickup for every budget and need. Ford F-150 is available in 11 models, with starting MSRP from $22,415 to $47,995. Ford Super-Duty comes in 12 models with MSRPs starting from $28335 to $62,690. Kelley Blue Book comments: “If you want a truck with serious towing and payload capabilities, yet as quiet and comfortable as many luxury sedans, then the F-150 should surely be on your shopping list.” Ford F-150 is also a Consumer Guide Best Bet. upstaged by newer – and better – trucks from Dodge and Ford, the GM twins [Chevrolet Silverado and GMC Sierra] still offer outstanding engine choices, features galore, great styling, and interior space and comfort.” Chevrolet Silverado accounted for 370,135 sales in 2010, up 16.9 percent from 316,544 in 2009. Available in Silverado 1500, 2500HD, 3500HD and Hybrid models, MSRPs start from $20,850 to $38,340. Towing capacity ranges from 10,200 pounds in Silverado 1500 up to 21,700 (with fifth-wheel) in Silverado 3500HD. 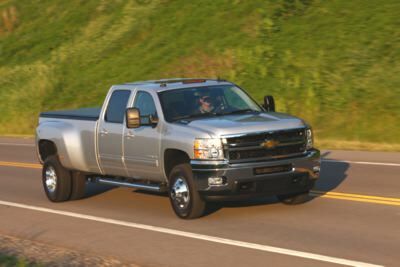 Silverado pickups – with as many configurations, bed size, and two- and four-wheel drive as Ford F-Series — are comfortable enough to serve as a daily driver, yet tough enough to haul and tow the heavy loads. handling, high-tech interior, and useful exterior features are consumer favorites, although Ram costs a bit more than Chevy Silverado. 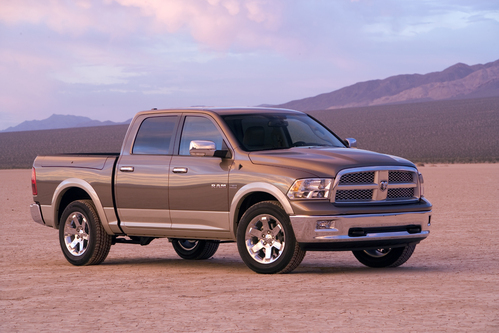 Consumer Guide observes: “Ram earns high marks for ride comfort, creative storage options, and abundant available power. Impressive cabin trappings are a nice bonus as well. Chevy, Ford, and Toyota loyalists would do well to have a look. You may well be won over by this Best Buy.” For 2011, Ram is available in 1500, 2500 and 3500 models in a variety of trims. Starting MSRPs range from $20,810 to $45,910. Note that combining the Chevrolet Silverado and GMC Sierra fullsize pickup 2010 sales results in 499,929 units (versus 428,386 in 2009). That would put Chevy Silverado/GMC Sierra ahead of Dodge Ram in total sales – but still in number two spot relative to sales leader Ford F-Series. Chevy Silverado and GMC Sierra are both Consumer Guide Recommended picks.